Lately we've been pulling out items to sell in a garage sale in hopes of clearing away some of the clutter around here. There are so many clothes, toys and gear from when my girls were babies that is just never going to be needed again, so why not let someone else get some use out of it? Of the few things that have pained me to think of parting with, high on the list are the pairs of shoes we have from pediped footwear. They're just so... cute. You can find pictures of the styles that we own in the pediped giveaway I hosted this past winter, as well as a whole list of reasons why we love these shoes. So what's new in pediped footwear? Launched in 2004 by Angela and Brian Edgeworth in their quest for the perfect soft-soled shoe for their first daughter, the exceptional quality, unsurpassed comfort and distinctive styling have made pediped footwear one of the fastest-growing children's footwear brands in the United States. Sold in over 3000 stores in the U.S. and 40 countries worldwide, pediped offers more than 120 designs for boys and girls between their Originals (soft-soled for newborns to age 2+) and Flex (rubber-soled for children 1-5 years) collections. pediped has now introduced the next generation in ultimate comfort for children by including Memory Foam Technology (MFT) in their signature ballet flats and sandals for boys and girls. The responsive and high-density MFT insoles mold to a child's foot and spring back when pressed to absorb shock and minimize impact. The insoles also react to body temperature, distribute weight and provide support where needed, creating a custom fit that is comparable to none. 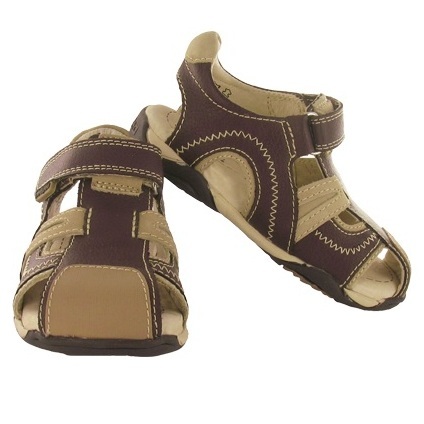 Best of all, this ultra comfortable technology is available in many adorable styles including the Penny ballet flat, the Megan sandal with flowers, the Phoebe with rhinestones, the Gillian and the Brody, a rugged sandal for boys. The shoes are made of an all leather upper, lining and all natural rubber sole. Upholding its reputation as a leader in the children's footwear industry, pediped is the only U.S. children's footwear company to offer a complete line of shoes with memory foam technology. pediped footwear's MFT line is available now at select retailers and on their website in EU sizes 20 - 29 (U.S. sizes 5 - 12.5) and retails for $48 - $52 per pair. There will also be new fall/winter 2010 MFT styles from pediped debuting this July!